H.H. White of Rock Hill, S.C. The H.H. White Building shortly after construction. Built on the corner of East Main and Elk Avenue, the H.H. White office building was a late 19th century structure built on the remnants of one of Rock Hill’s early buggy factories. The lot had been owned for years by A.E. Hutchison, the founder of the Rock Hill Cotton Factory and when it financially failed to meet expectations, this lot was sold to H.H. White. In the 1880s, he had A.D. Holler, one of Rock Hill’s prolific contractors construct this new office building. The building has been used by numerous organizations and businesses, including an early location of the Rock Hill Library, of which H.H. White was a strong supporter. The second floor often served as a community meeting space and Masonic Lodge meeting area as well as at one time, part of the Rock Hill Opera Hall. The Rock Hill Record reported on Jan 6, 1908 - "Dr. J.E.W. Haile and family have arrived and are now occupying their home on East Main Street. Dr. Haile has fitted up a nice suite of rooms in the White Building over Bryant's and Blumberg's stores, with an entrance from the staircase leading to Dr. Stokes office." 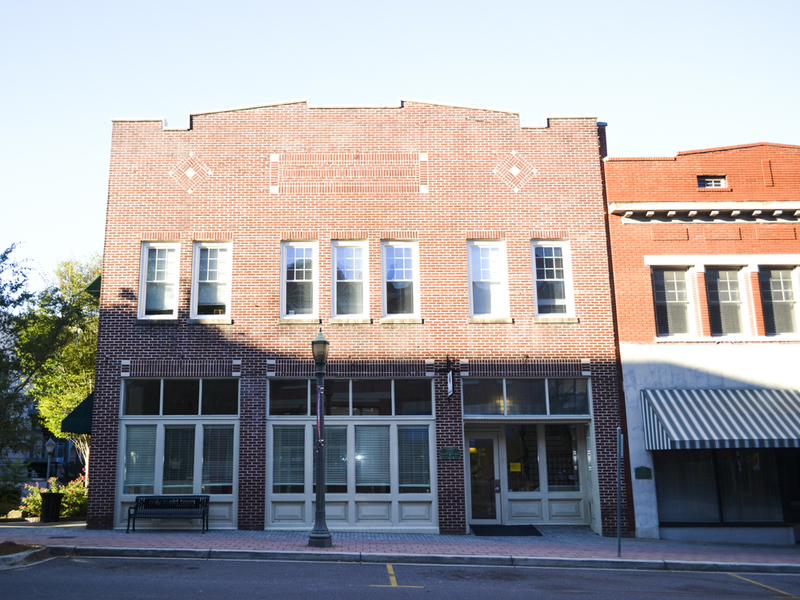 The building has been remodeled and expanded numerous times but remains a prized location in downtown Rock Hill on the corner of what has become the Elk Alley walkway to the city's public parking lot.